Fall started, there's a sudden chill in the air, the nights are getting darker - and many of us are feeling even more tired than usual. Lack of sunlight, the psychological effect of the end of the summer all combine to make millions of us feel exhausted in the autumn months. Your eyes may be the first ones to show it but Skinny Eyes can help you. Skinny Eyes has developed a full product line composed of a wand, and 3 serums; all specifically designed to significantly reduce wrinkles, fine lines, dark circles and puffiness around and under the eyes. 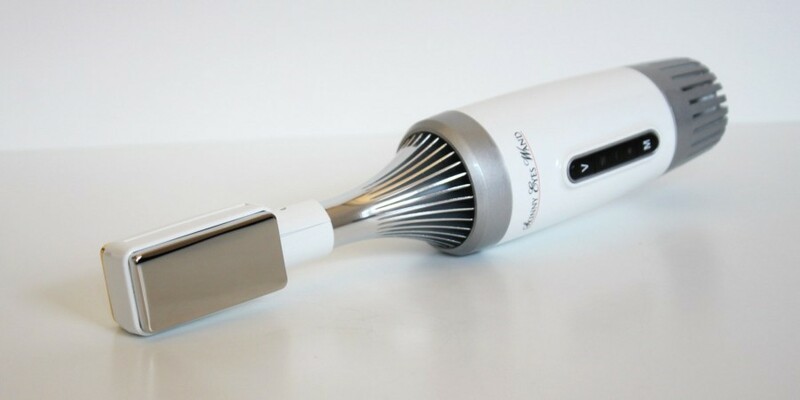 Skinny Eyes Wand utilizes a therapeutic hot-cold massage technology to refresh, awaken and revitalize your eyes. Skinny Eyes Wand will energize your eyes bringing back vitality, radiance, wellness, and youth all in about 90 seconds! No longer will you have to spend countless hours trying to hide your tired, dark, puffy looking eyes. Skinny Eyes Wand Therapy brings you four benefits: Diminution of puffy eyes, Improvement of blood circulation, Wrinkle Improvement, Dark Circle Reduction. How does it work? The Skinny Eyes Wand is composed of a gold plated side that warms up, and a platinum plated side that cools down. It also offers a vibration mode for ultimate relaxation of the eyes.